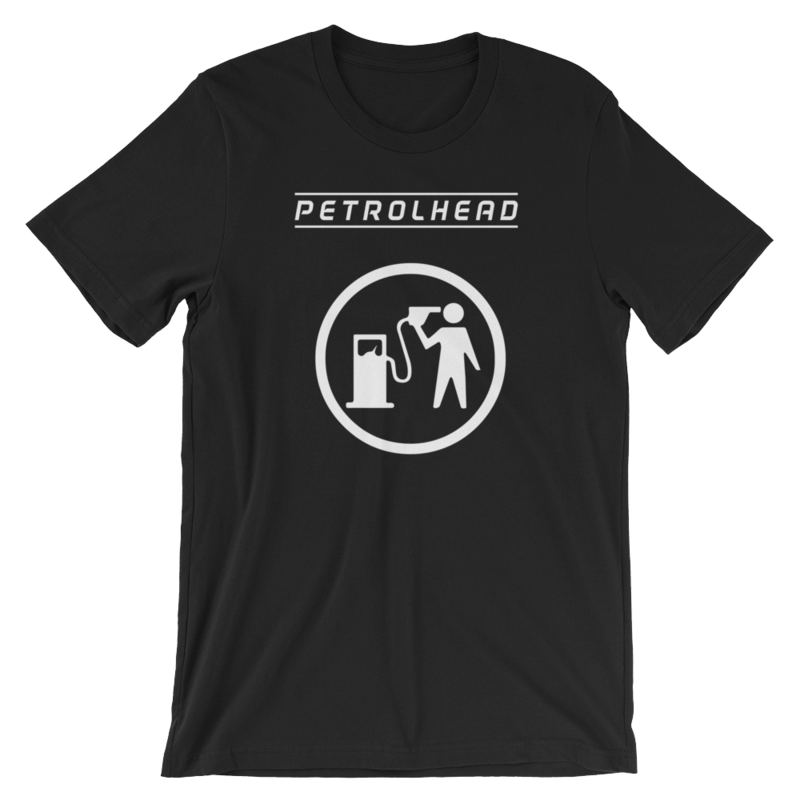 Looking for a straight-forward shirt to express your love for petrol-powered machines? This is your pick! This high-quality shirt is available in different sizes and is made from the best possible ring-spun cotton. The flat colors are 100% cotton and the heather colors are 90% cotton and 10% polyester. Our shirts are known for their amazing quality, durability, and comfort. You will L-O-V-E them! Please check the size guide carefully before ordering. If you’re in doubt, we recommend grabbing a size larger. 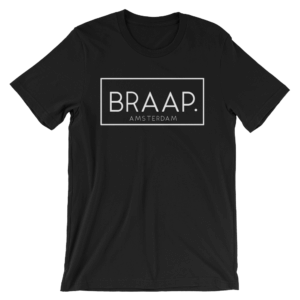 The original BRAAP.® t-shirt. Plain, simple, but very powerful. 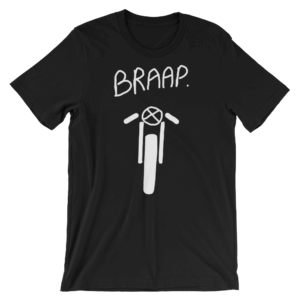 Make a bit of a statement for your love of speed. 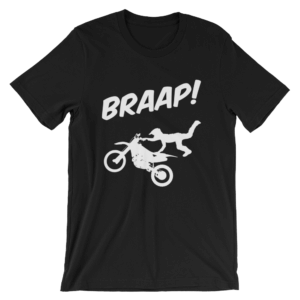 BRAAP up your style! NEW COLLECTION!!! This shirt breathes our passion for the petrolhead lifestyle. One of our best sellers! 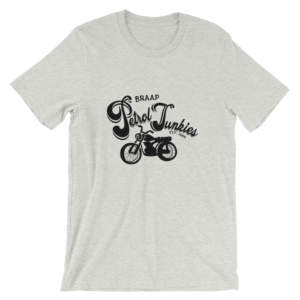 The essence of the cafe racer, caught in a simple, yet 100% original cafe racer shirt. Riding a cafe racer? This is your need-to-have-shirt.